I am very proficient in C/C++ and have been programming seriously since 1994. 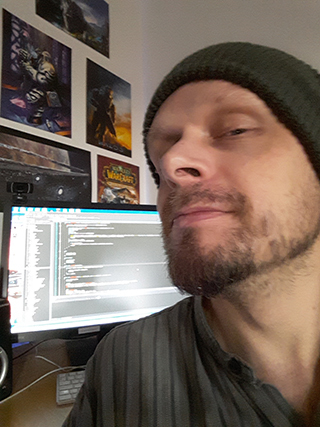 I initially became very enamoured of Object Oriented Programming and Design Patterns, but have since come become very sceptical as to whether OOP actually added any value, especially in the field of game development, so I am currently tending to program much closer to vanilla C in most cases. When it comes to methodologies, some people are now saying that Agile is Dead. In any case I have found that You Can't Stop the Change in software (hey, it's SOFT! ), so I tend towards simplicity and minimalism. I am extremely effective and result oriented, probably stemming from the fact that my interest in programming is largely based upon an interest in game design on a practical level. I am not a technology-fetischist, but rather thrive on creativity and the satisfaction of project completion. Besides my interesting in games, gaming and programming, I spend a large part of my free time working on various musical pursuits (both as a player and a writer). I sing and have played guitar and piano for about 25 years, have played in many bands and Broadway-musical-style contexts, and have written a great deal of music in a number of genres.